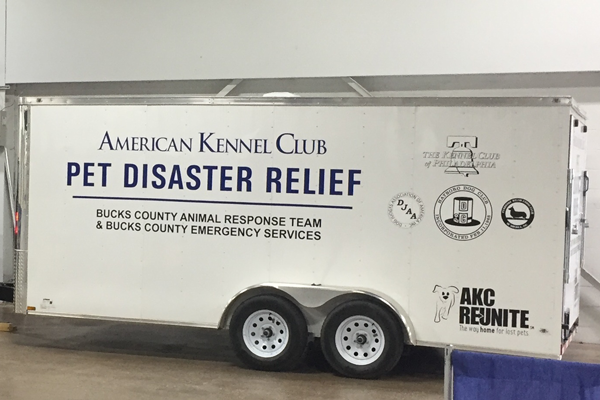 Bucks County is now equipped with a state-of-the-art AKC Pet Disaster Relief trailer that will be available to dispatch to any disaster scenes that need assistance sheltering pets. 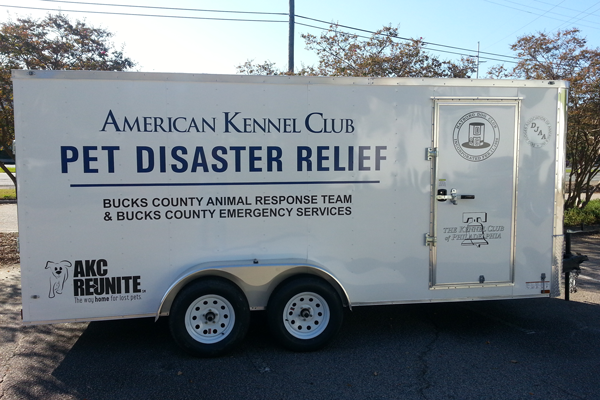 AKC Pet Disaster Relief, a national program that is dedicated to keeping pets and their owners safe in the aftermath of natural or civil disasters, joined forces with local American Kennel Club dog clubs and dog lovers to present an emergency trailer to officials from the Bucks County Animal Response Team & Bucks County Emergency Services in a ceremony held yesterday. This is the 55th AKC Pet Disaster Relief Trailer rolled out nationwide. The purchase of the trailer was made possible by more than $22,000 in donations and grants from the Hatboro Dog Club, Kennel Club of Philadelphia, Pembroke Welsh Corgi Club of America, Dog Judges Association of America, and AKC Reunite, the nation’s largest non-profit pet identification and recovery service. “Bucks County has had an active Animal Response Team for many years and this new trailer greatly enhances their capability to serve the community. We are extremely grateful to these AKC dog clubs and AKC Reunite for giving us such an important tool. 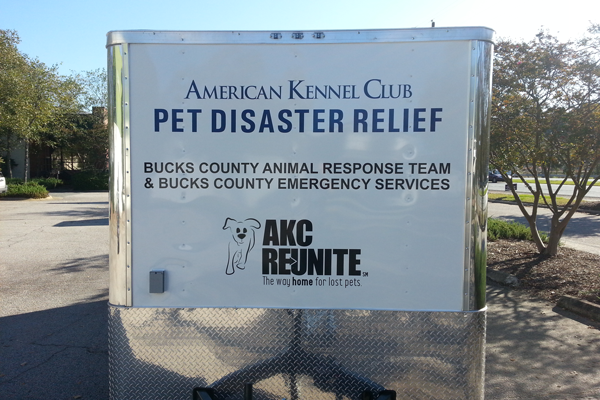 The AKC Pet Disaster Relief Trailer will allow us to give our pets the care they need in times of disaster, giving Bucks County pet owners peace of mind,” said Scott Forster, Director of Emergency Services for Bucks County.